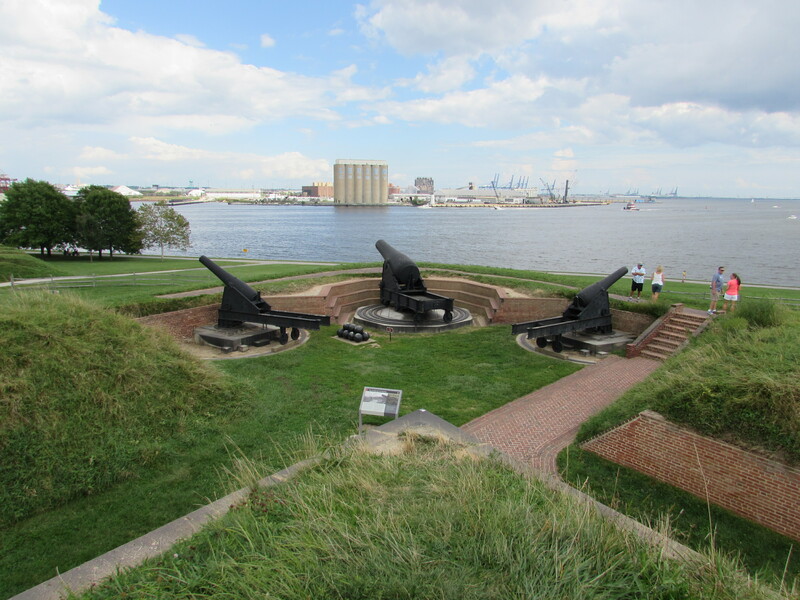 Fort McHenry is considered to have had an important role in the war of 1812. It’s famous not only for defending the Baltimore harbor but also for the national anthem of the USA. During the attack by the British navy against the Chesapeake Bay, Francis Scott Key wrote The Star Spangled Banner. The fort was built in 1800 in form of a 5-pointed star surrounded by dry moat. Funny fact -in Europe almost every castle and fort was surrounded by a moat filled with water. 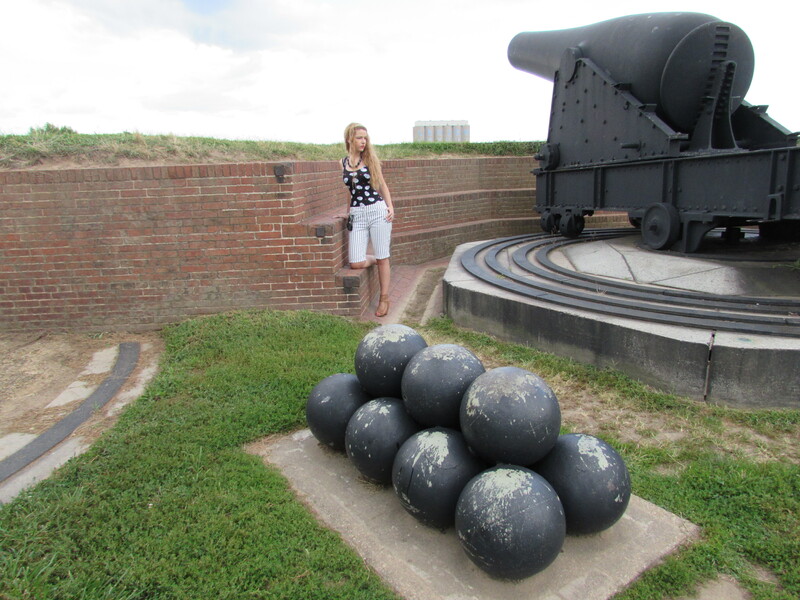 Over the years Fort McHenry has played a major role in defending the eastern coast of the US therefore now it’s a major point of attraction in Chesapeake Bay. 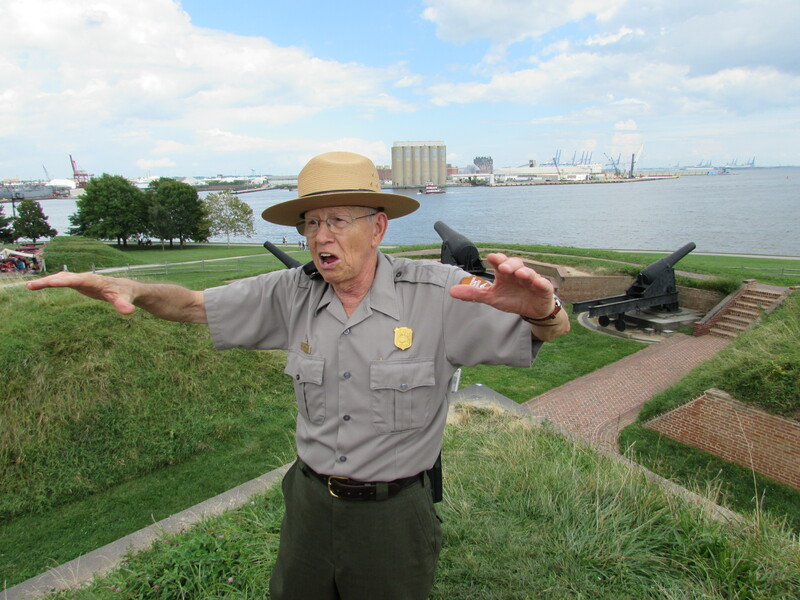 The ranger in charge with the fort tour was extremely passionate about his work, very knowledgeable and had all his heart in! For this visit I wore my new pair of vertical lines short pants. Being made from a jeans type of fabric, they are extremely comfortable and easy to wear and I had no problems climbing stairs or jumping from walls. Because almost all of my dearest friends – Simona, Bogdana, Anca – always told me to dare more in combining colors and shapes, I have overdone myself this time and mixed the vertical lines of my pants with the roundness of the skulls on my top. 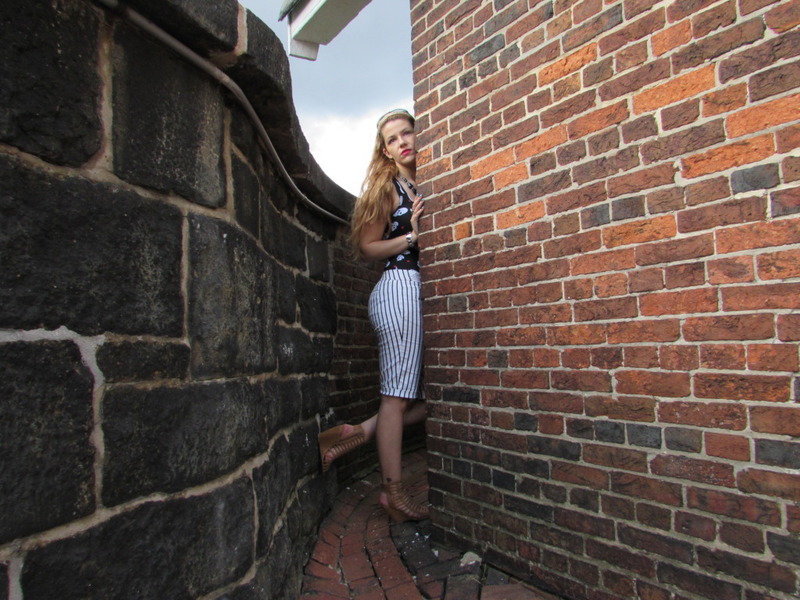 Horizontal lines on pants or skirts will not help your body shape no matter if you are slim or voluptuous. E foarte bine ca ai indraznit sa combini cele doua printuri – arata foarte bine impreuna, e un look reusit! M-am bucurat sa aflu informatii in legatura cu locatia shooting-ului! Multumesc!